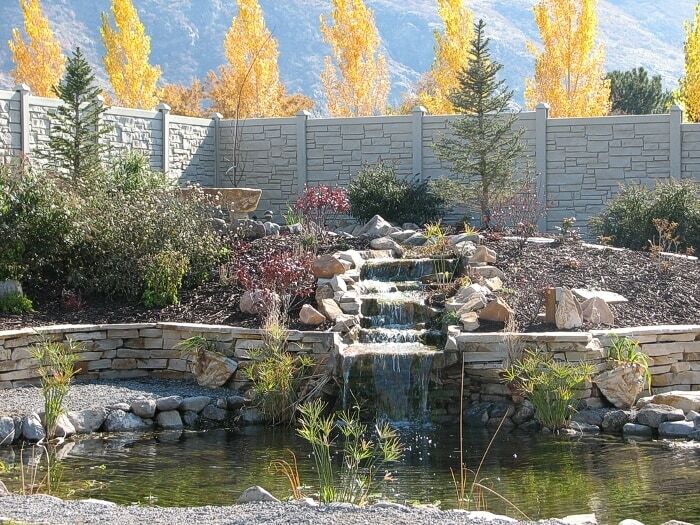 Simulated Stone Privacy Fence Fencing - Simulated Stone Privacy Fence Panel 6' x 6' Simulated Stone Privacy Fence Panel - Does Not Include Post / Gray Granite Color / 70" x 2" x 72"
6' x 6' Simulated Stone Privacy Fence Panel - Does Not Include Post / Gray Granite Color / 70" x 2" x 72"
Easy To Install! Shipped Pre-Built. Order Posts Seperately. Simply Install Posts in Ground and Attach Panels to the Posts. 24/7 Installation Support! Excellent sound barrier. Blocks 98% of direct sound with a sound transmission class (STC) rating of 26.